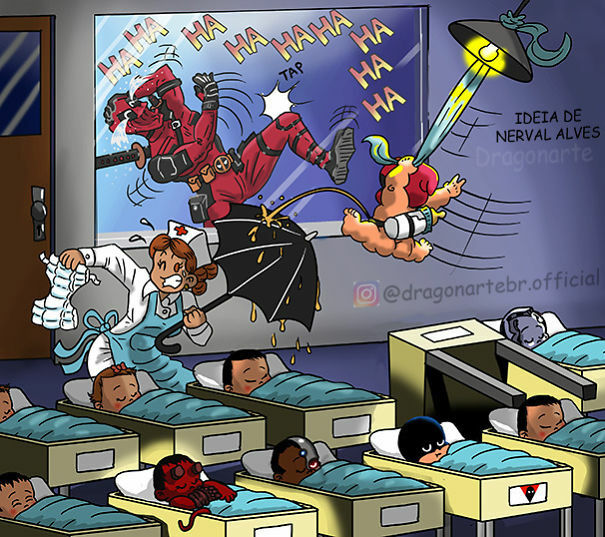 Brazil-based artist Dragonarte (born Lucas Eduardo Nascimento), decided to illustrate what would happen if iconic superheroes suddenly had kids. 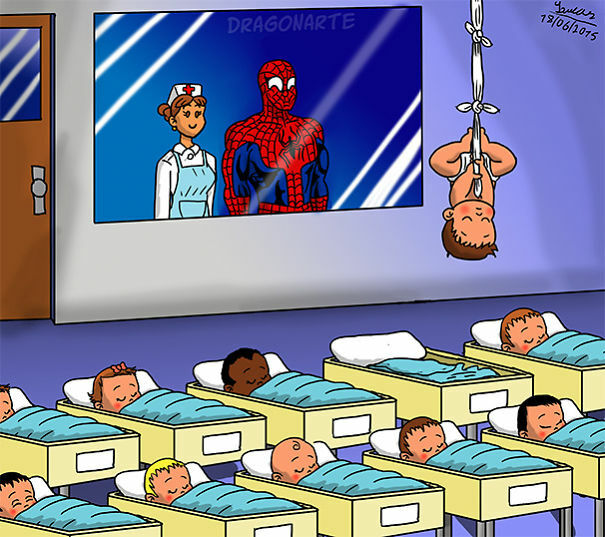 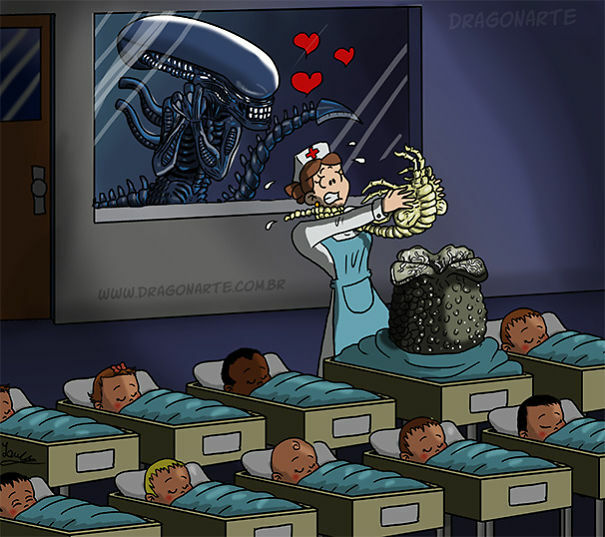 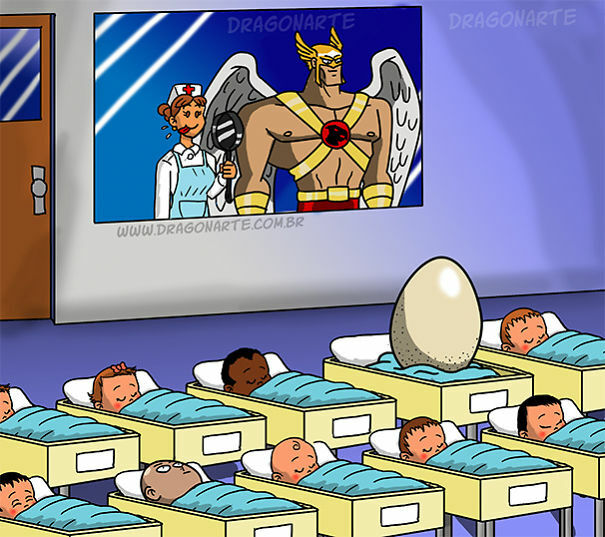 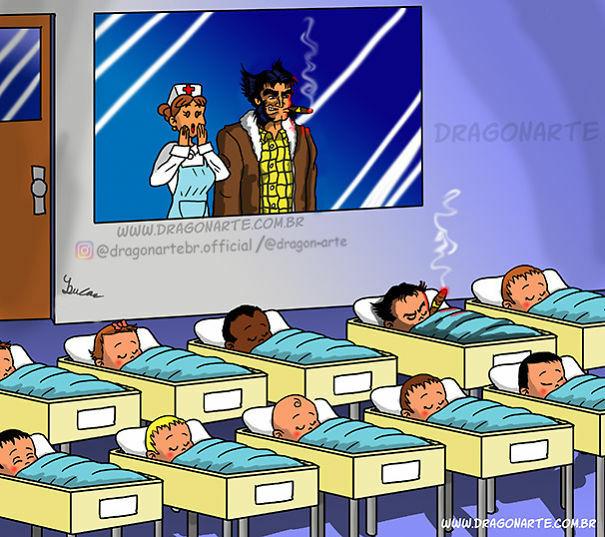 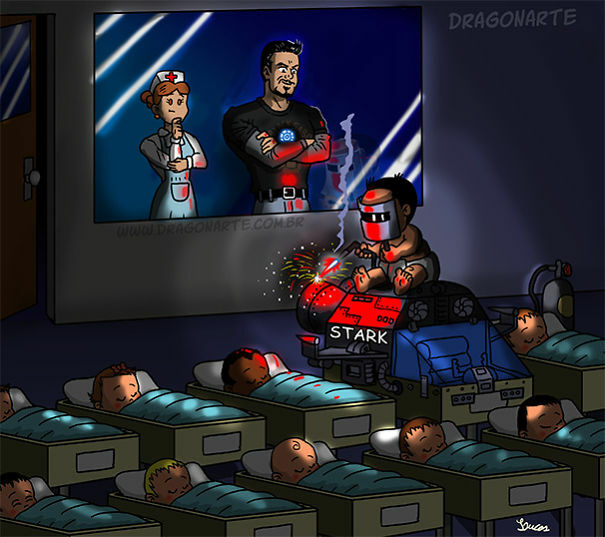 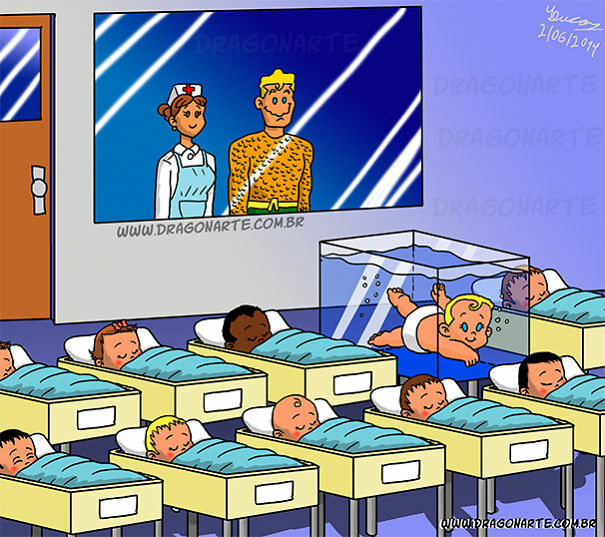 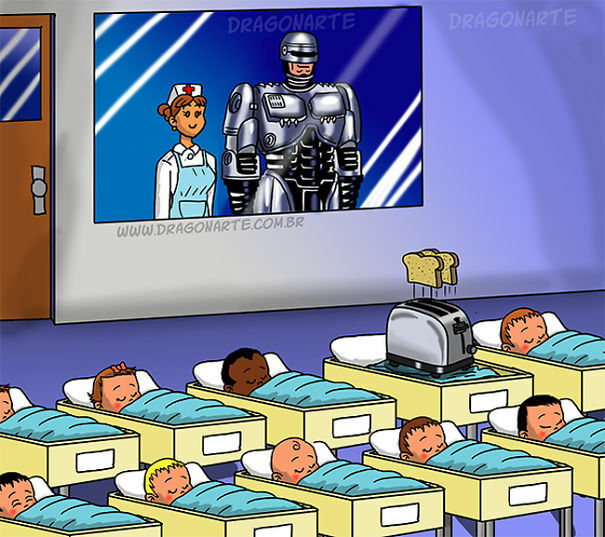 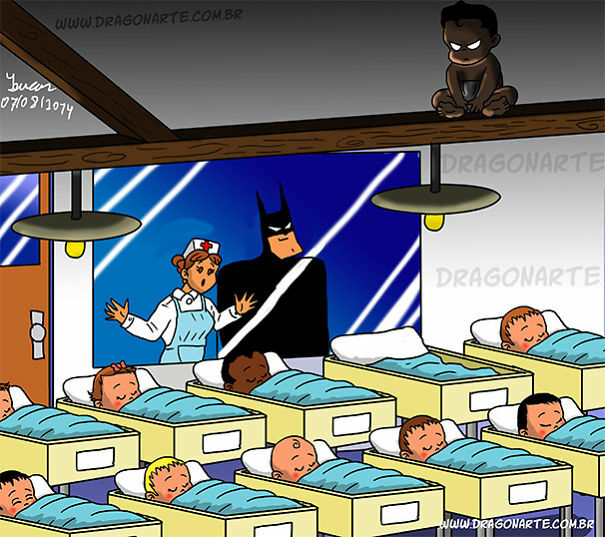 Nascimento’s illustrations see adorable babies inheriting their father’s most well-known traits and powers, resulting in hilariously creative comics. 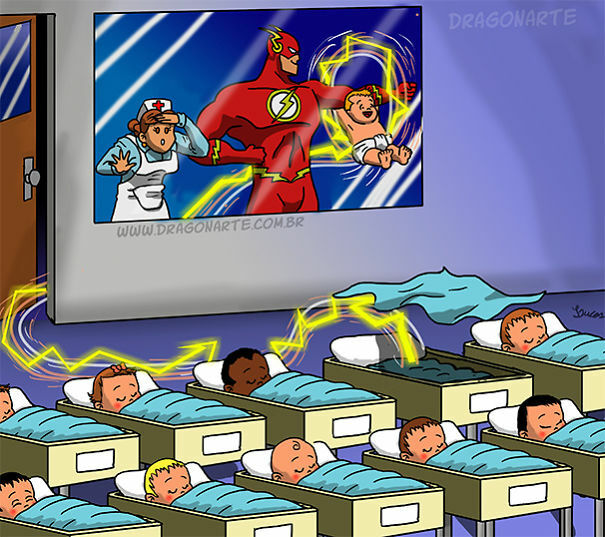 We legit wouldn’t mind if these toddlers had their own DC or Marvel titles soon.